Large industrial size pendant light fixtures were normally reserved for restaurants…until now. In the last year or so, we have seen a trend toward incorporating industrial lighting into the home. The scale of the hanging pendant lights is generally larger; therefore, it becomes more of a statement piece and adds drama to the kitchen or another room. 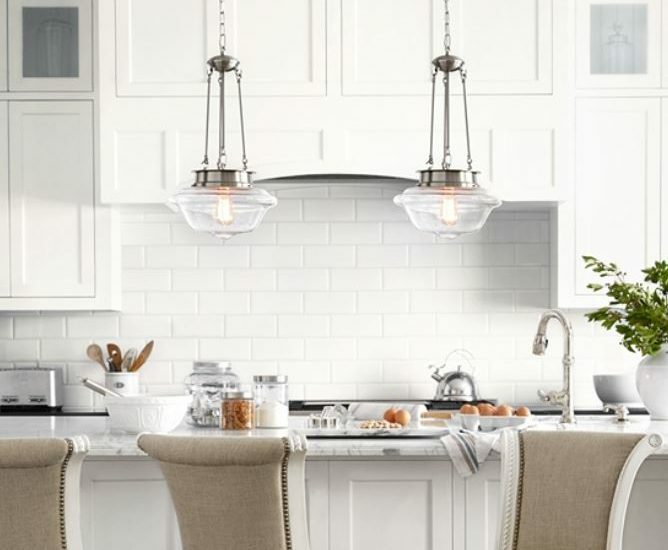 We are especially seeing the industrial hanging pendant lights replacing the mini pendant lights over the kitchen island. Glass pendants with clear glass enclosures are trending, as are schoolhouse style pendant designs. 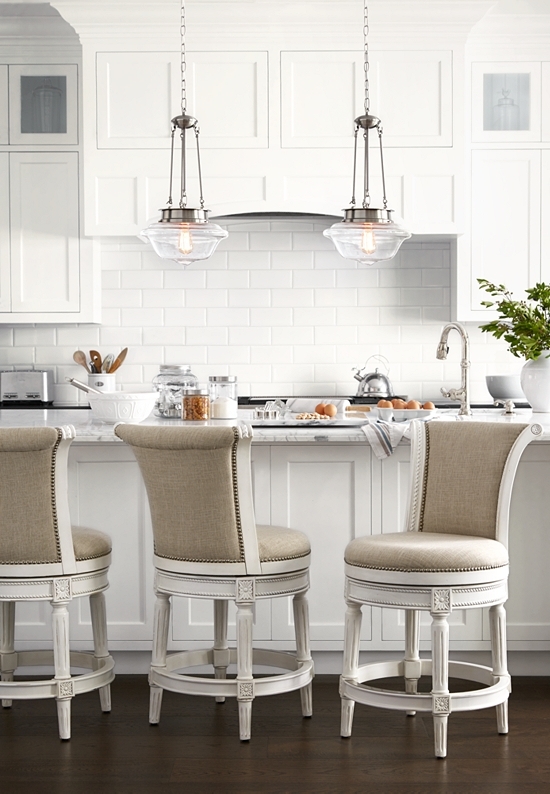 It’s become a trend to use larger-sized pendant lights in the kitchens. The hanging pendant lights in the photo above are great if you want to incorporate the industrial look, but want a smaller scale hanging light. The lights can work well in both modern and more traditional spaces.